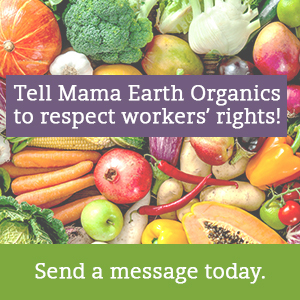 A majority of packers, drivers and warehouse workers at Mama Earth Organics have voted in favour of their union, UFCW Canada. However, the company is using ballots cast by voters outside of the union’s bargaining unit to hold up the process. A company that cares about its farmers, the environment and its products should also care about its workers and should not be using anti-union tactics.